Purchased for my prepper brother... I didn't expect to like the book and was surprised how it grew on me. Although the EOTWAWKI via atomic war between US and Russia happened in the late 1980's making the whole piece dated, I found the two writers traveling though the US and doing oral histories with those they met... an interesting way of presenting the varied effects of a nuclear war on the US and its citizens. There are a few boring "reports" which I fast forwarded though and although it isn't an action packed read... I found it thought provoking and very plausible. While the narration is fine. This is one book where a multi-narrator cast or one who could do a variety of voices would have been helpful. You had to listen closely for transitions to know who was talking. This book won't go on my "got to listen to again" list... but I am glad I took the time to explore it. 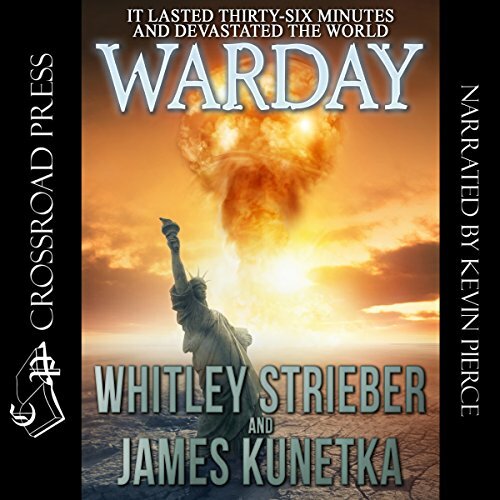 This was a really good book!Kevin Pierce does a fine job with the materials narration.Warday is an apocolyptic adventure through a landscape that is so familiar to most of us.It was very relevant and rather creepy listening to the stories of devastation caused by an act of terror,yet that phrase was not in the book.The Russians drop bombs of varying sorts on different parts of the USA on 10/28/88.This knocks out all electricity and kills thousands of people and is known as 'Warday'.The 2 main characters are reporters taking a 'walk' through America to see what it has turned into and write about it.It gives one a lot to think about. 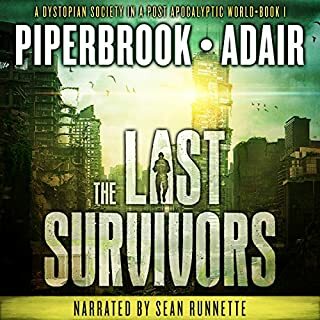 I have a new favorite narrator! I had no idea that this book was written in the 80s, but it did have an "older" feel to it, in a good way! Have you ever picked up a classic and the contrast to their writing style and today's author's writing styles are completely different? That's the feel this book gives. And add the narrator into it, and you get thrown back to your childhood, when you were sitting in front of your scholarly grandpa, engrossed in his story telling. I can't add anything that hasn't already been stating in other reviews. 2 guys go to explore America a few years after a nuclear war. They document what they see. Absolutely brilliant account of a time the world came just a bit too close to living, and with the state of current world affairs it could still happen. War Day is a post nuclear apocalypse written in the early 1980’s that I found strangely relevant in 2015. The premise of War Day is that there has been a nuclear war between the United States and the USSR (remember 1980’s). What is different about this war is it was very limited. Only a few areas of the USA are actually hit. No countries have nuclear hits other than the USA or USSR. Every country though feels the political and economic balance change drastically. The two main characters, who are not fictional but place themselves in a fictional world, visit the different areas of the country. It contrasts the destitution and need of the areas that were close to the strikes with the areas that essential had no physical effects, no radiation at all. 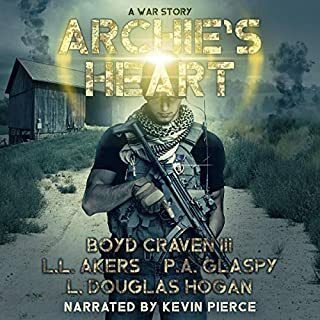 The story is told alternating between the main characters and the people they interview to assess the state of the union five years after War Day. I read the book when it first came out. I bought the hard back, which four moves later is no longer in my library. I am very much a cold war child and have always been drawn to apocalyptic literature, especially post nuclear. Reading it before the collapse of the USSR and as a 24 year old, it was a great story. Reading it now in a post USSR world as a 52 year old is completely different. The difference comes down to the one “post” I haven’t mentioned: we live in a post 911 world. 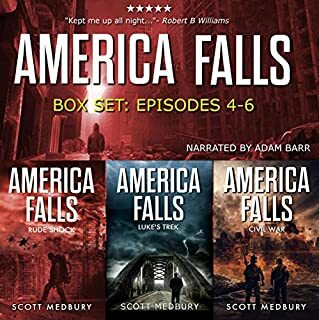 I started reading the book simply because I remembered it as a good one and had an opportunity to review the audio version (This audiobook was provided by the author, narrator, or publisher at no cost in exchange for an unbiased review.). As I was reading the book again in 2015 I found parallels to how we as a nation have changed. When the areas unaffected by War Day are discussed, the issue of individual rights vs public protection become very prominent. It really was fascinating to see how the authors saw their fictional world facing limiting personal rights and freedoms to protect what the government perceived as the greater good. The audio narration is excellent. Mr. Pierce has a very nice voice. He speaks clearly and communicates the emotions the authors created. His narration is a performance. It does not sound as though he is just reading it. It sounds like he studied the book. learned its secrets and then passed them on to the listener. It really is a very good narration. I would definitely listen to another book narrated by Mr. Pierce. 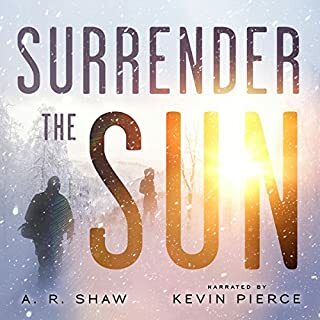 I would recommend War Day especially the audio book narrated by Mr. Pierce. Not at all what I thought. This was an experience! 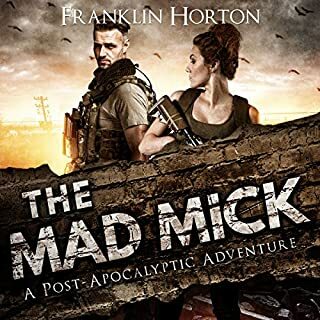 I thought this was just like any other post apocalyptic book, but it's not. This is told like a documentary and I found it was such a unique way to tell the story but I didn't enjoy it that much. I think it was because I was expecting something totally different and was a little disappointed. The story is told by 2 writers who travel the US a few years after Warday, to document what life is like now. The idea behind the story is amazing but I just found parts to be telling rather than showing. We get a lot of statistics which I just found tedious and not that necessary. I enjoyed the parts where we get to see what life is like now and thought it was fascinating but all the rest was a little stuffy. There's not much else I can say about this other than it needs to be read to see. If you go into it with the mindset of it being like a documentary of what happened then I think you will enjoy it more. It's an interesting and unique book and I think I may just try listening to it again in a few months to see if I enjoy it more knowing what I know now! This wasn't my favourite performance from Kevin Pierce but I can see why he had to narrate it the way he did! The style of the book dictated that it be read like a documentary. I just found it confusing trying to differentiate both characters because the whole book is read in the same tone. Saying that though. he read it really well, his voice was clear and concise and other than the confusion, I had no problem with the performance. Overall the story was fairly entertaining and an experience that everyone could benefit from reading. The scenarios are still valid and should awaken the reader to the gravity of nuclear war now more than ever! I pray that we wise up and never have to experience a nuclear war! I read this at the age of 14 in 1984. It scared me to death. The fear of a nuke was real then. 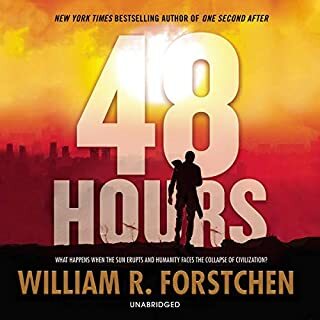 Now at 46 I listened to it on my commute and found it every bit as compelling and griping. Not even aged in content even though it takes place between 1988-93. I'd love to see a follow up story at some point. Whitley has a great gift for fictionalizing his own life.! That and his natural storytelling ability really work well here! A different way of telling what could have easily happened if a limited nuclear exchange had a occured between the US and the USSR. Detailing how the electromagnetic pulse (EMP) emitted during the nuclear explosion destroys delicate electronic circuits. Describes how reliant we were in the 1980s on electronics and how society collapses when it all fails. With the modern digital cyber age we now live in, we probably wouldn't stand a chance. This is a relevant story for the modern age, that is well written and read. Extremely thought provoking.